Describe in detail your experience with LAURA PETERS - Broker Salesperson minimum 10 words, maximum 200 words. Laura was so helpful throughout the entire process. She is very personable, professional and efficient. She uses the latest technology to get through all the paperwork and is always just a call away. She goes out of her way to make your experience a good one. I would highly recommend Laura to anyone who is selling or buying a home! We had an Amazing experience working with Laura. 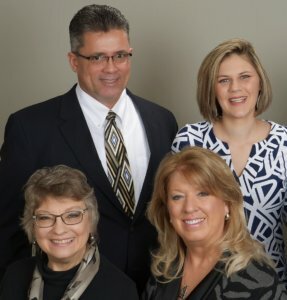 She was so responsive to all of our requests and questions, and she knew far more than we ever hoped to about the process of buying/selling a home. It was a Crazy Ride, but we were able to buy a Beautiful home in our price range and even in the neighborhood we loved the best! Not to mention sell our other home... We definitely could not have done it without Laura and we'd definitely recommend her. After trying and failing to sell our house a couple of times before, we thought our house was unsellable. That is until Laura Peters came knocking at our door. She is a real estate agent like no other. She has a great marketing plan with a can do attitude. And the personal care she takes with her clients is like no other. We were extremely impressed that not only did she get our house sold, but she sold it so fast. If we ever buy or sell a house again, you can bet Laura's NEXT STEP Team will be our agent! NEXT STEP Team sold our house within 4 days of placing it on the market! They walked us through each step of the process, answering questions and offering advice. They worked hard to make sure our house had beautiful curb-appeal and was priced exactly right. They utilized a very effective marketing strategy to make sure our house was easily found, and seen by prospective buyers. Laura Peter's NEXT STEP Team is a shining example of a hard-working professionals, dedicated to exceeding their client’s expectations. We will contact them for all our future real estate needs!